Beulah M. Hardy, 94, a long-time resident of Byfield, MA, passed away on Tuesday, April 17, 2018. She resided at the Port Health Care and Rehabilitation after more than a year long struggle with her health. She was born on May 23, 1923, in Lowell, MA, the fifth of six children of the late Arthur R. and Ida F. (Smith) Gormley. By the time the Great Depression gripped the world, the family moved to Newburyport. 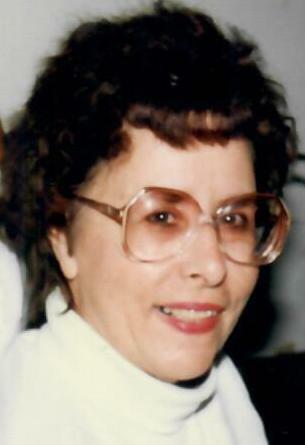 Though her childhood was filled with struggle, in her youth, Beulah was still a vital and independent woman who enjoyed horseback riding, sunbathing on beach, and camping at Sandy Point with family. A talented self-taught artist, she enjoyed painting the beautiful landscapes she grew up exploring. She graduated from Newburyport High School in 1941, the first of her extended family to finish course work and faithfully attended all reunions. She was the wife of the late Charles L. Hardy, with whom she raised five children. Though Charles Hardy passed almost 24 years ago, their fun and loving marriage is still recalled today in cherished memories of the Byfield cookouts filled with cold beer, fiercely competitive horseshoes, and raucous laughter. In her later life Beulah was a nurse’s aide in local nursing homes and was then employed at Triton Regional High School as a cafeteria worker where she met Pam Kent, formerly of Newbury and they became lifelong friends. She was also a member of the Newburyport Golden Age Club and Silver Tops of Newton, NH. Besides her husband and parents, Beulah survived all of her siblings: Alice Martino of Meuthen, MA; Dorothy Burns of Amesbury, MA; Margaret (Baker) Michaud of Gloucester, MA; and brothers David of Newburyport and Fred of Detroit, Michigan and Florida. She was also predeceased by her daughter Marsha Lee Burke formerly of Amesbury and Haverhill. She is survived by three sons: Brian R. Hardy of Newport Center, VT; Charles D. Hardy of Plaistow, NH; Kevin A. Hardy of Manchester, NH; a daughter, Diane Green of Newburyport; and a cousin, June Maguire of Byfield. She is also survived by five grandchildren: Jon Burke of Westwood, MA; Julie Hardy of Brooklyn, NY; Dr. Anne Frances Hardy of Newburyport; Rachel Green of New Orleans, LA; and Jessica Green Nowak of Beverly, MA as well as two great-grandchildren, several nieces, and scores of friends including former daughter-in-law M. Joan Hardy of Newburyport and Pam Kent formerly of Newbury. Her family extend their gratitude and thanks to Merrimack Valley Hospice for all services provided. The Funeral Service for Beulah M. Hardy will be held on Friday, April 20, 2018 at 11 a.m. at the F. S. Roberts & Son Funeral Home, 14 Independent Street, Rowley, MA. Calling hours will be held one hour prior to the service beginning at 10 a.m.